Liven up your Monday night with a Macaroni Grill Coupon! Macaroni Grill is offering a special coupon that takes $20 off a $40 or more purchase! 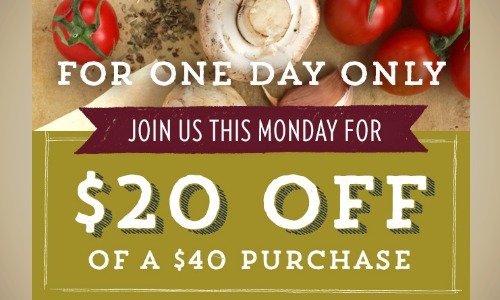 The coupon is good for today only and you have to dine in. It can always be a challenge to get dinner ready on a Monday after having a long weekend so go ahead and treat the family to special night at Macaroni Grill!